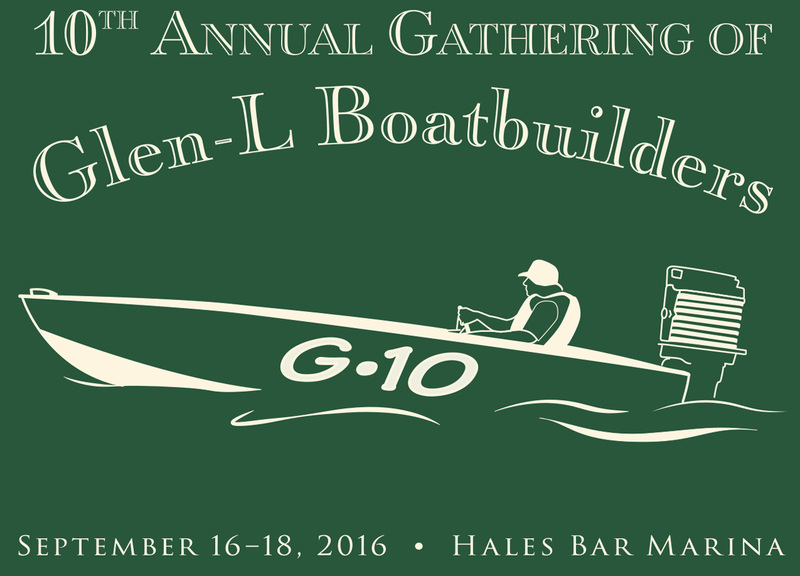 This is a special year, as it marks the 10th anniversary of the Glen-L boatbuilders gathering. 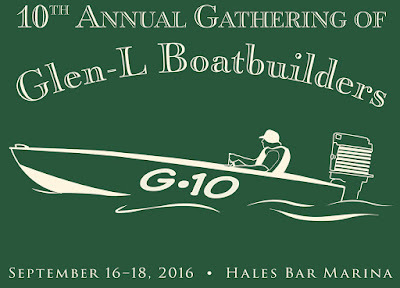 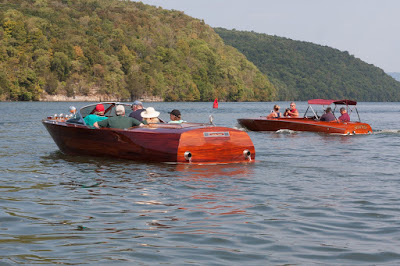 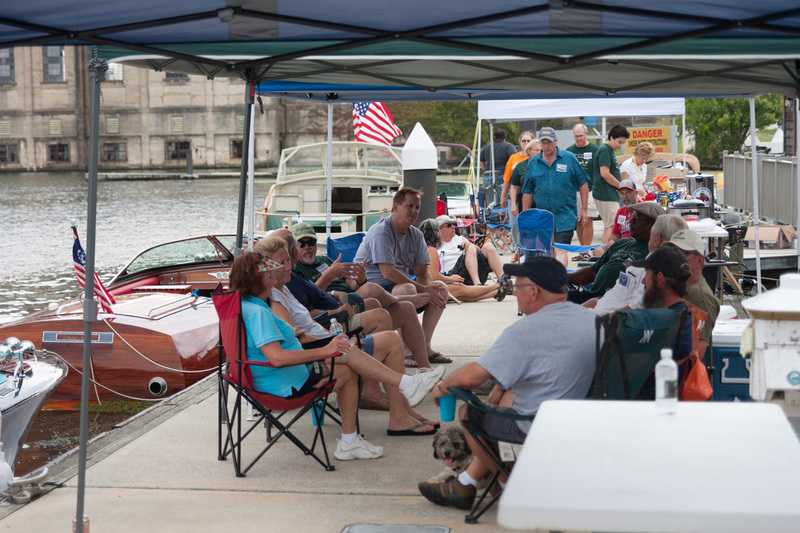 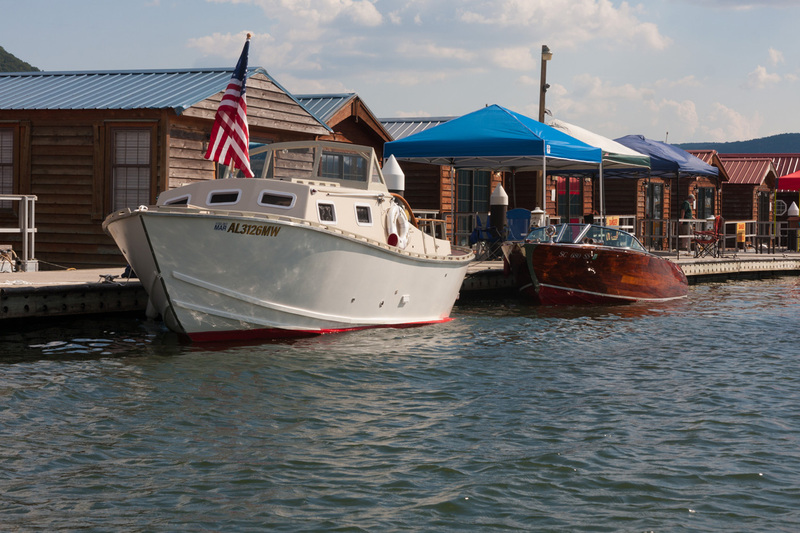 The gatherings are relaxing and informal affairs, all organized by members of the boatbuilding forum on the Glen-L website. 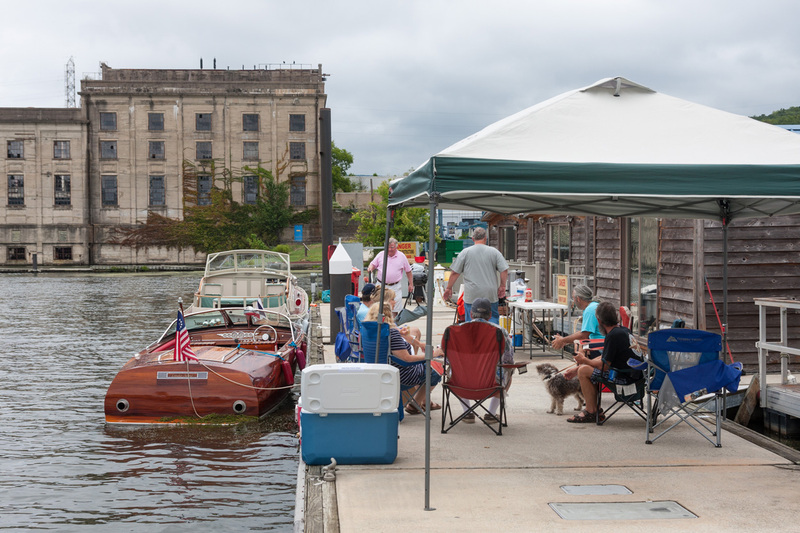 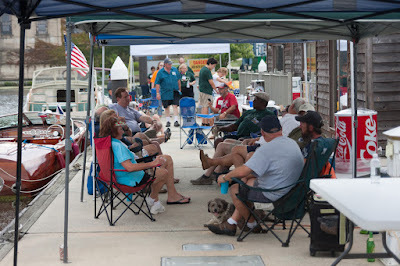 Amateur boatbuilders from all over the country, and several from all corners of the world, gather together to ride in one another's boats, share their experiences, gain inspiration, meet new friends, and generally just have a good time. 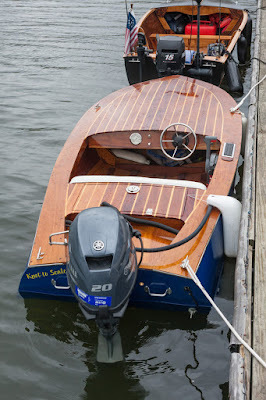 At last year's Gathering, I had the pleasure of launching my boat for the very first time. 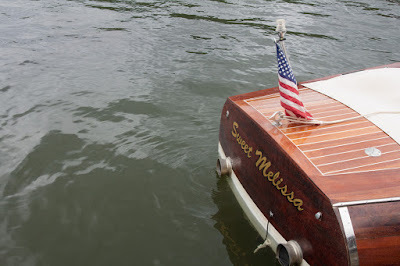 What a fun and exiting experience that was! 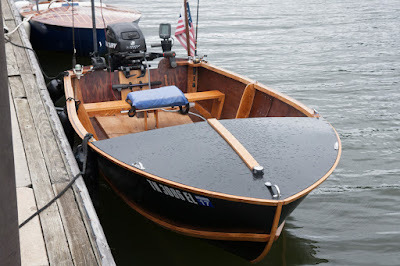 This year, I was happy to return with my boat fully completed. 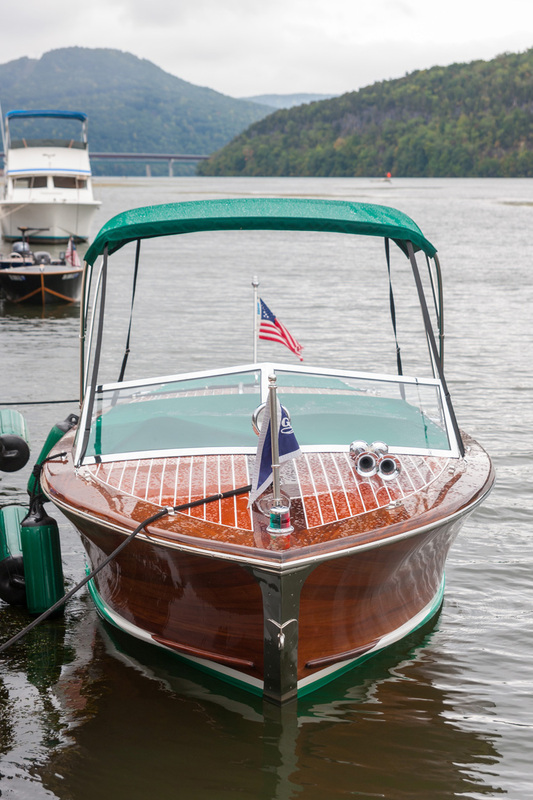 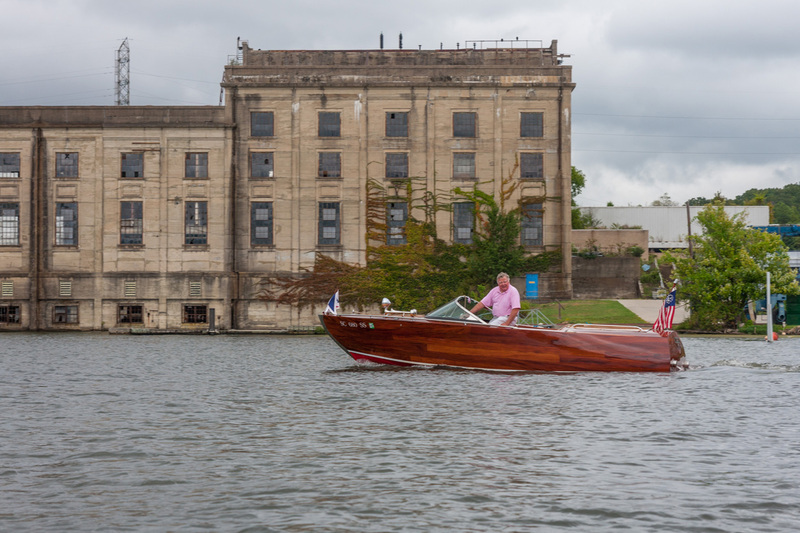 Modified Glen-L Riviera and Glen-L Gentry, all set to run up the Tennessee River. 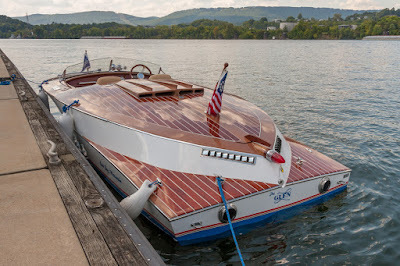 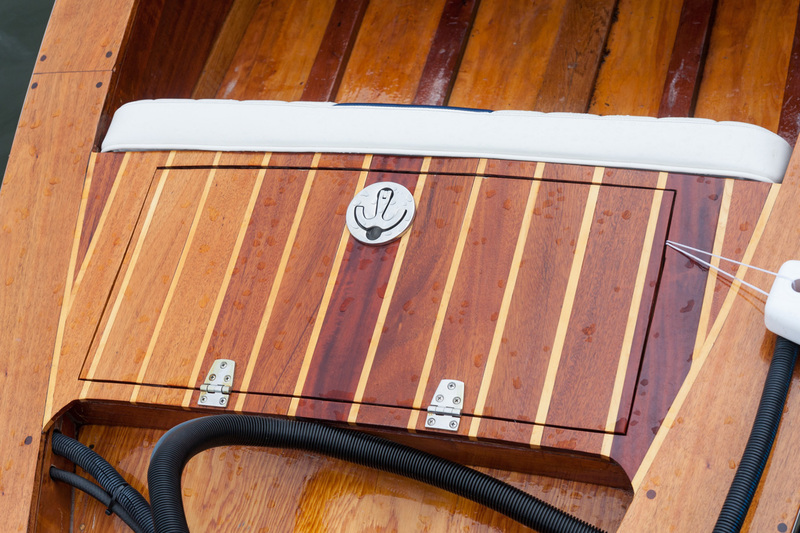 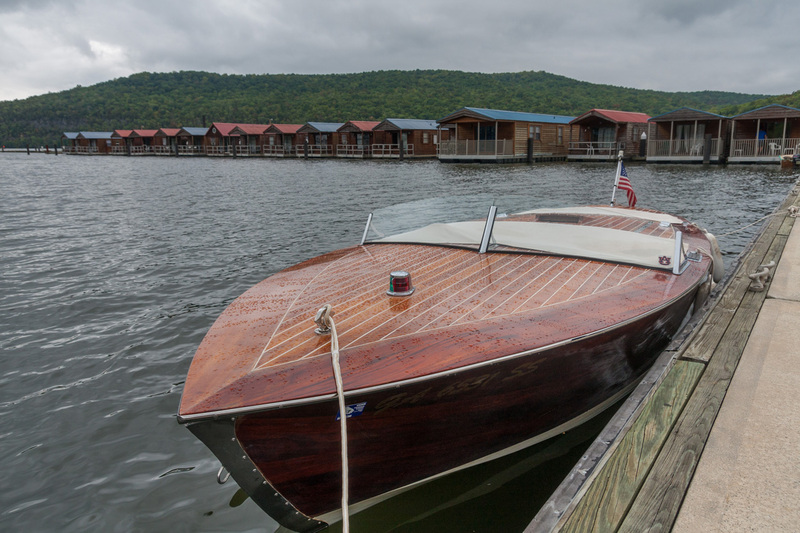 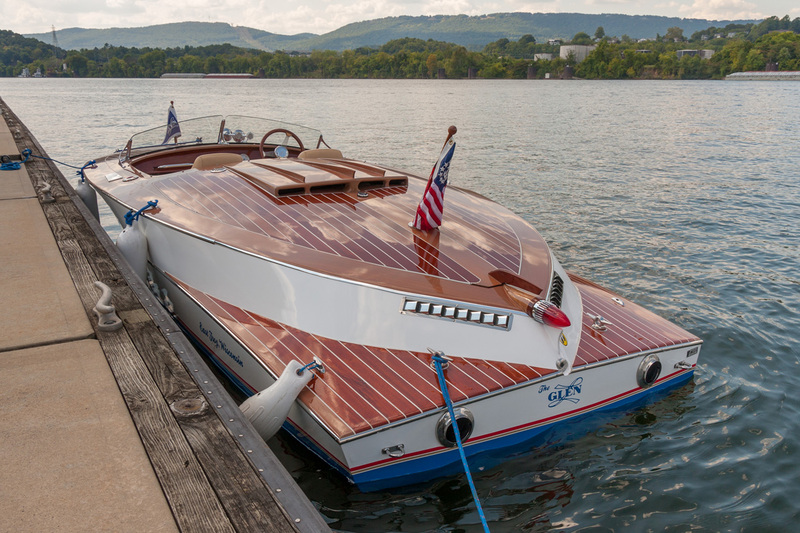 This modified wooden Riviera was built on top of the fiberglass V-bottom of a 1976 Century Arabian. The boat's name is "Linda Anne." "Linda Anne" is more than just graceful on the water. 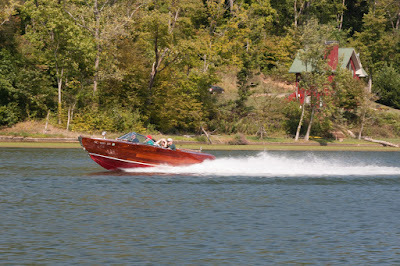 The boat is extremely fast with an exceptionally smooth ride. 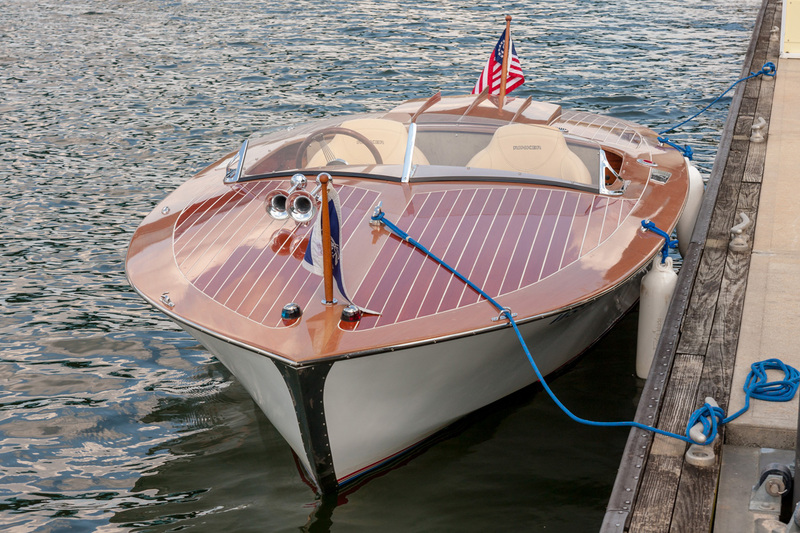 "Innocence" is a triple-cockpit Glen-L Tahoe, designed by Ken Hankinson. 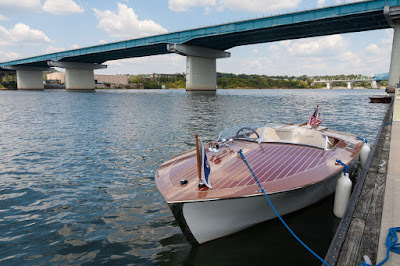 A beautiful Glen-L Belle Isle on the Tennessee River. 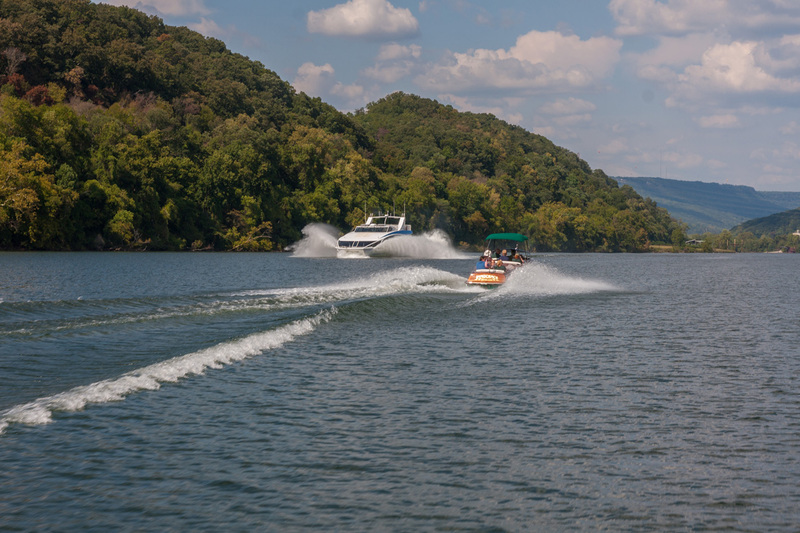 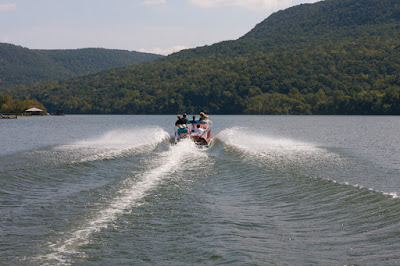 Passengers aboard the Belle Isle enjoy riding through the beautiful Tennessee River gorge. 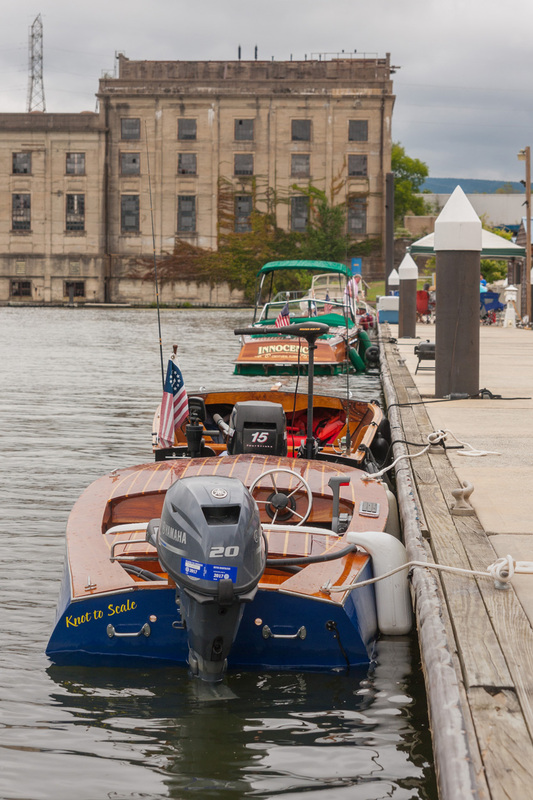 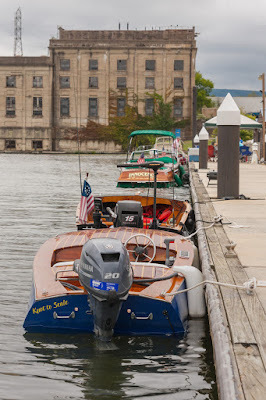 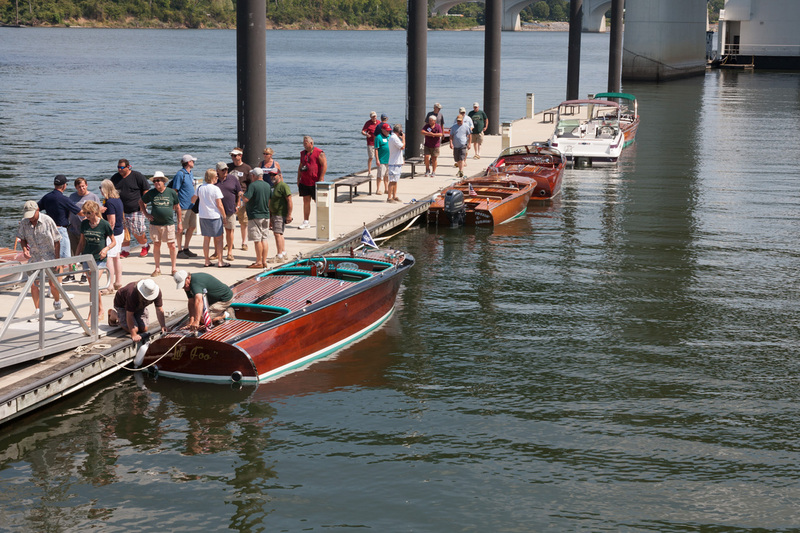 The Glen-L flotilla arrives in Chattanooga, and passengers disembark for lunch. 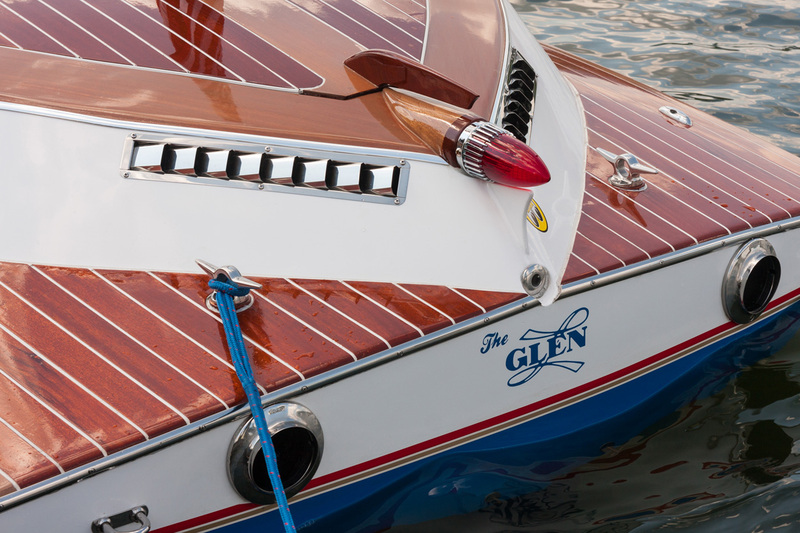 Roberta's award-winning Glen-L Torpedo. 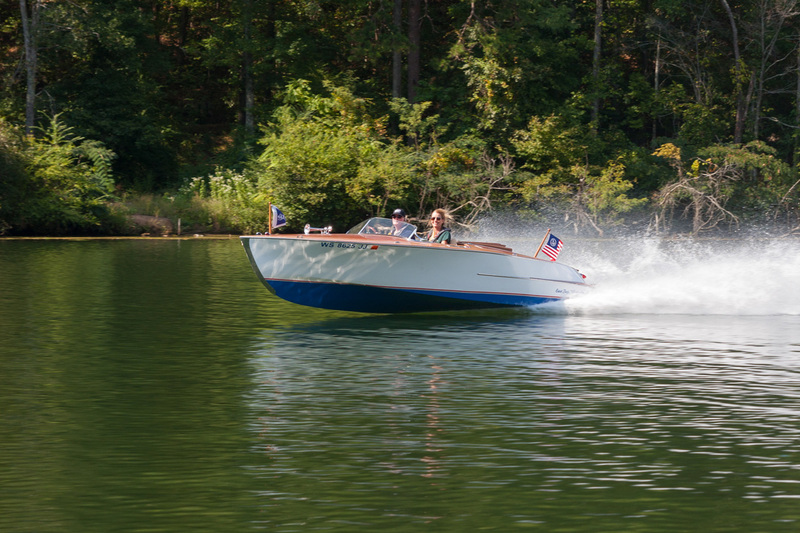 The Torpedo is Glen L. Witt's most recent design, in a career spanning over six decades. Glen-L was founded in 1953. Plans for the Torpedo were first published in late 2010. 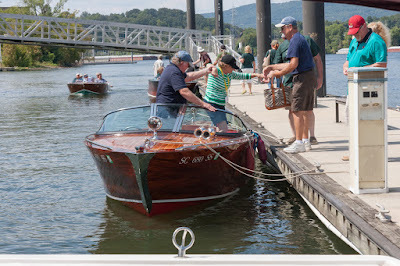 Passengers aboard "Scooter," a Glen-L Gentry, arriving at the dock. 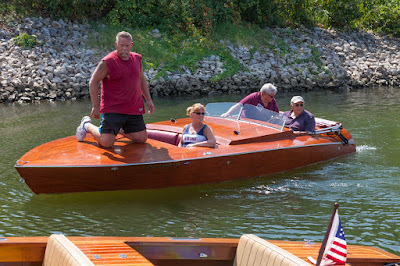 While most of the Glen-L flotilla were handmade wooden boats, a nice, white fiberglass Cobalt was also part of the group. 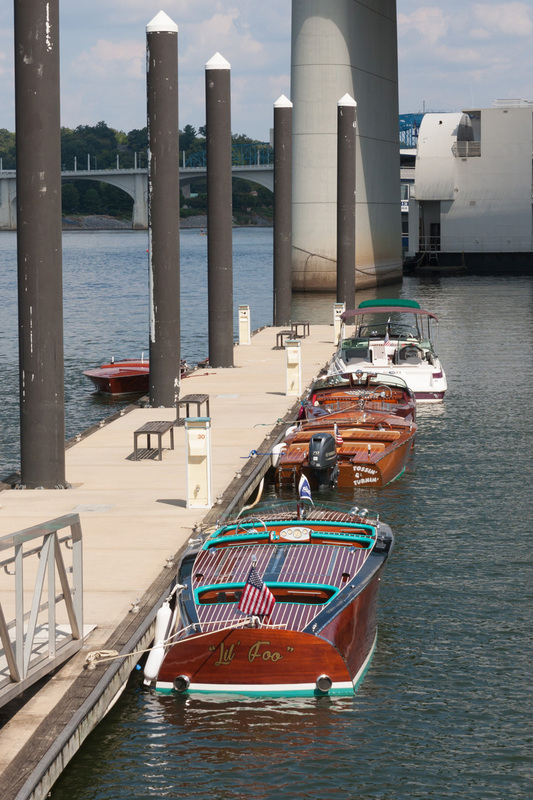 Roberta's Torpedo, docked in the shadow of Chattanooga's Olgiatti bridge. 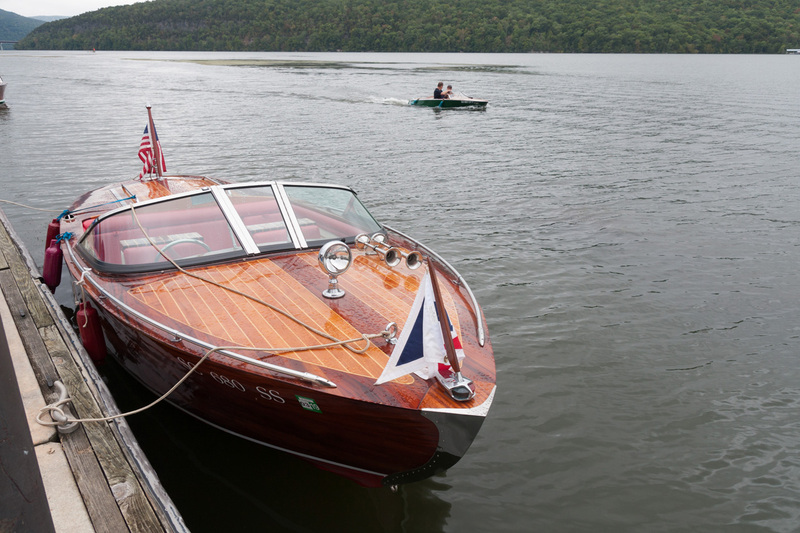 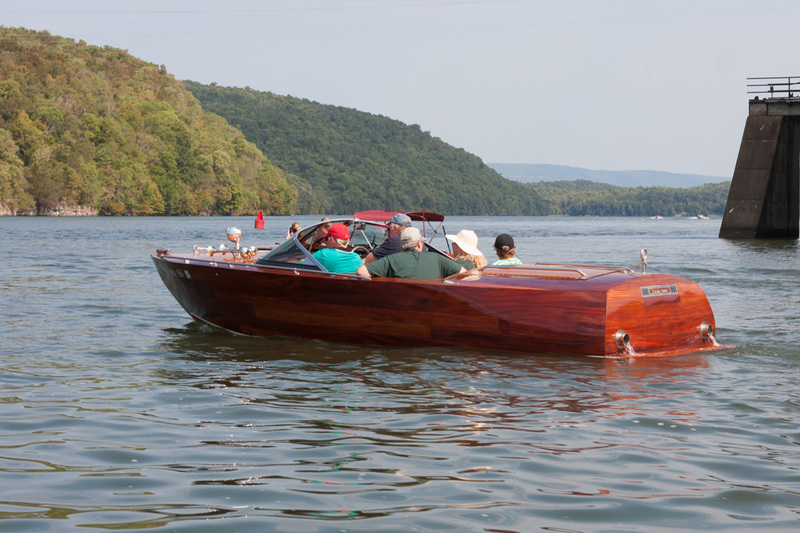 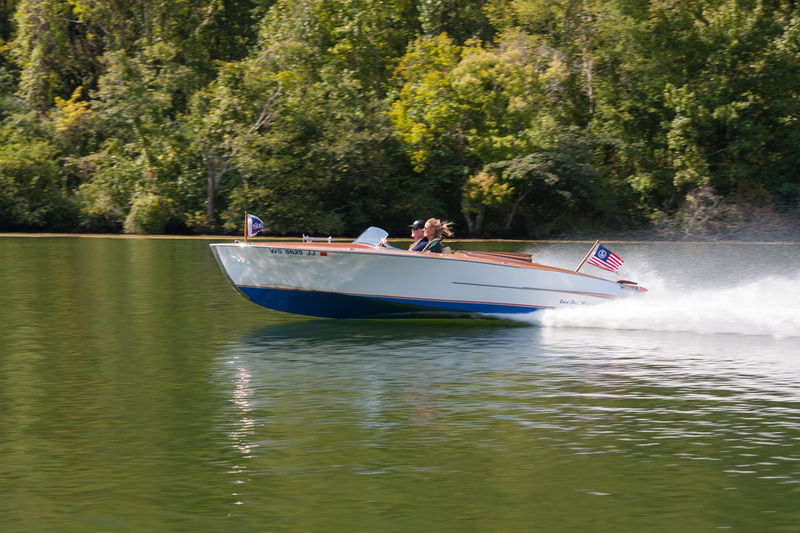 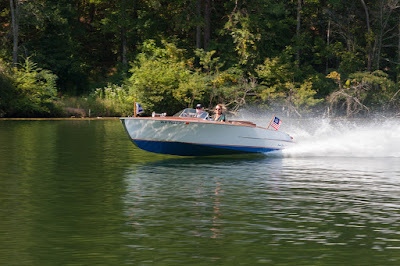 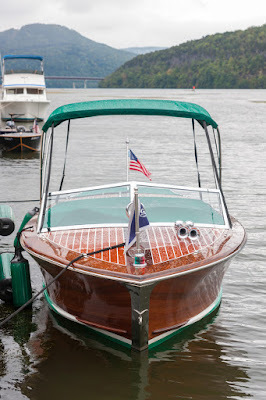 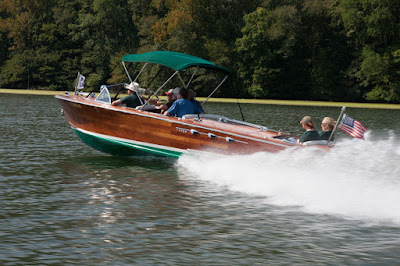 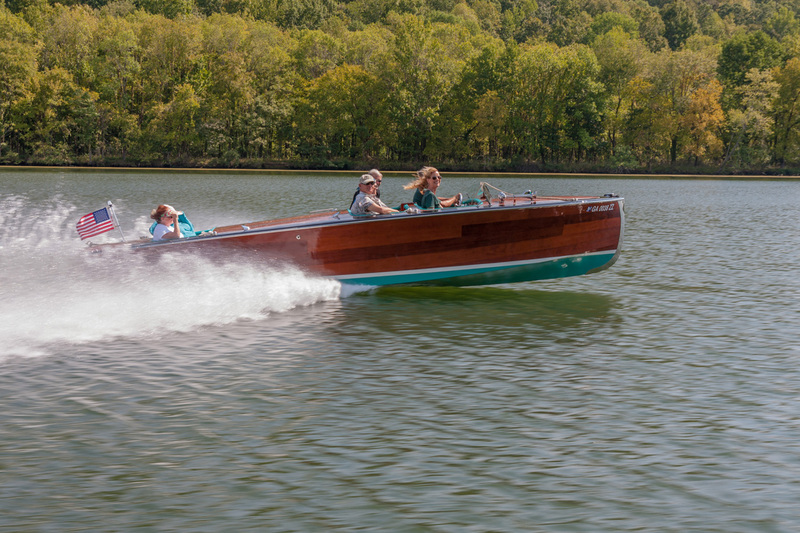 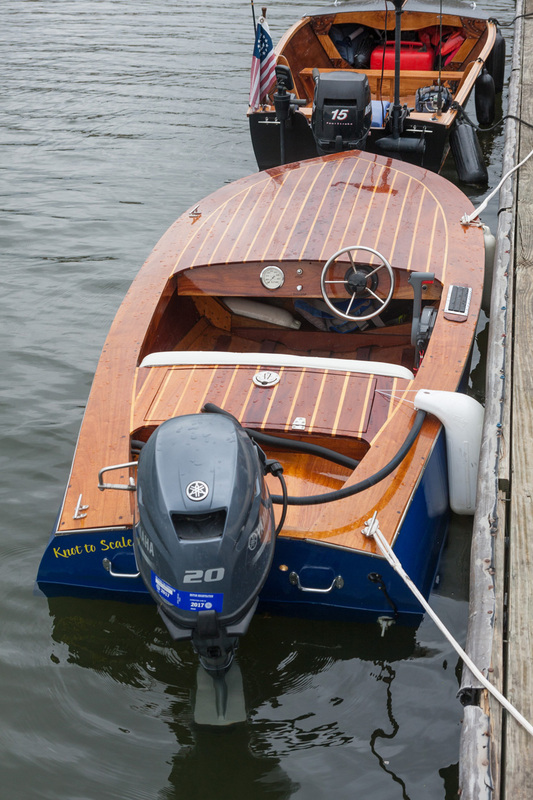 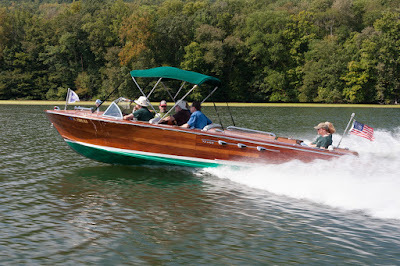 The Torpedo has a distinctive transom, reminiscent of the Ventnor boats and the Chris-Craft Cobras. 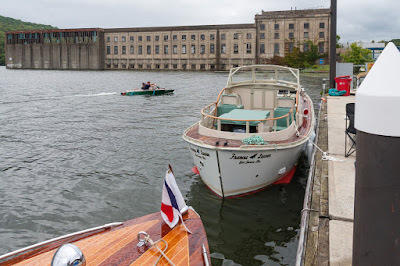 After lunch, the Glen-L Belle Isle pulls away from the dock to fuel up at a nearby marina. So far the only one of its kind, this Torpedo is simply named "The Glen-L."
"Linda Anne" and crew pull away from the dock. "Innocence" passes the Tennessee Aquarium's "River Gorge Explorer." Roberta and Gayle cruising downriver in the boat Gayle's dad designed, and which Roberta made a reality. 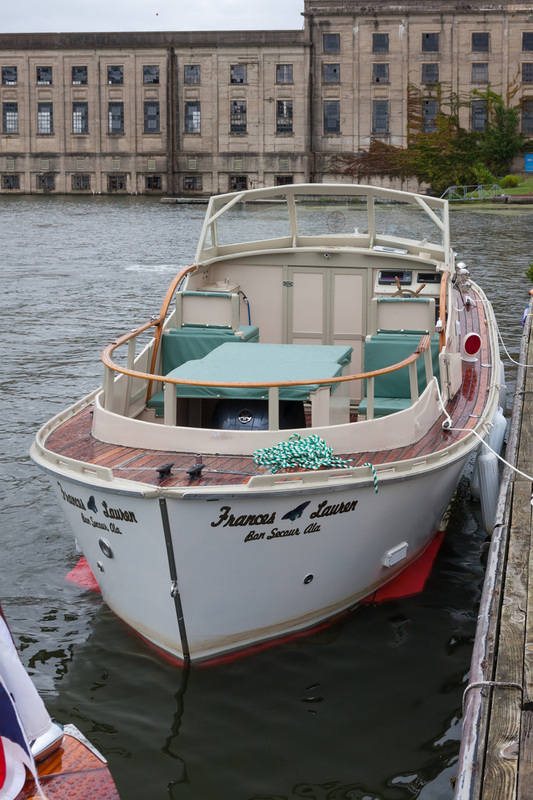 "Francis Lauren," a newly-built Bartender. 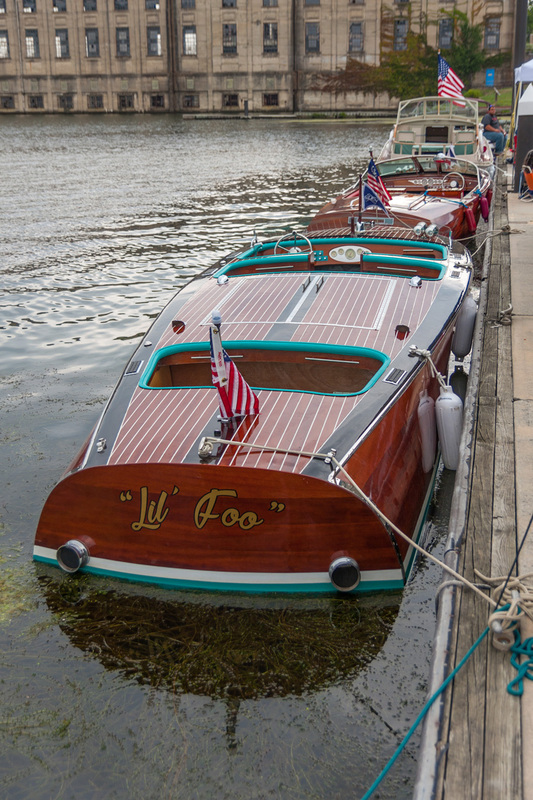 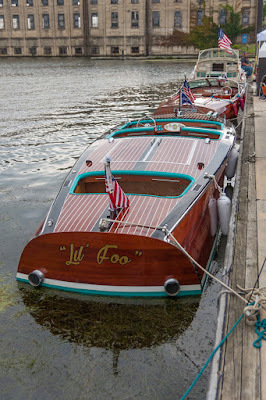 "Lil' Foo," the Glen-L Belle Isle. Friends and boats, up and down the dock at Hales Bar Marina. 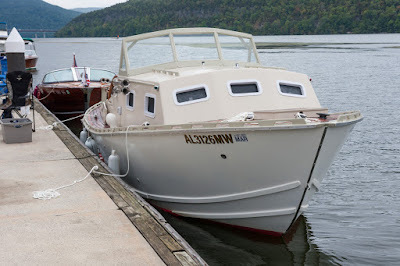 "Perseverance" stayed in the water overnight, through a brief rain shower. "Sweet Melissa," a beautifully-built Glen-L Monaco. 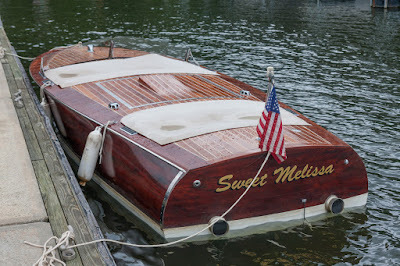 "Sweet Melissa" docked in front of the marina's floating cabins. "Francis Lauren," the newly-completed Bartender. ...and turning the corner in front of "Francis Lauren." 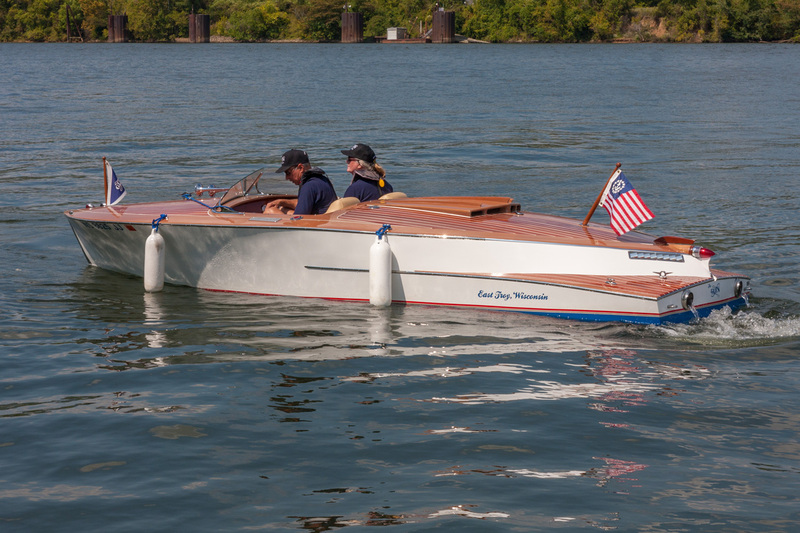 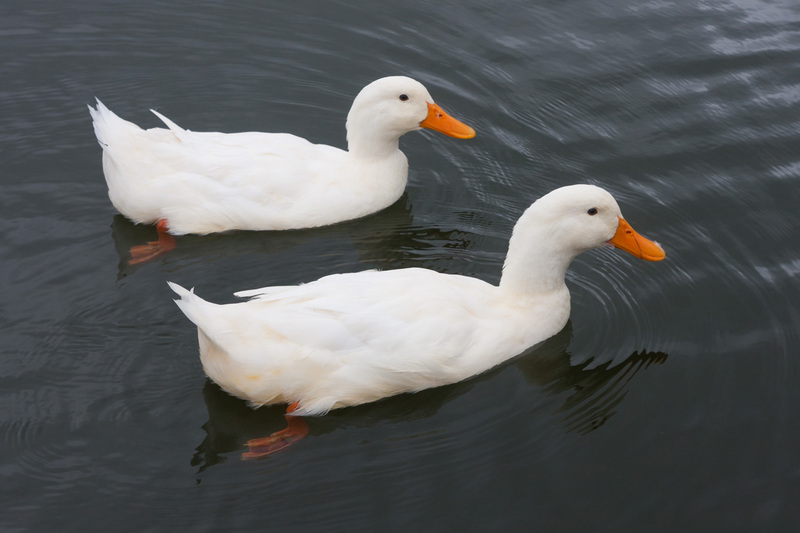 The double-ender transom of the Bartender is designed to rise into following waves. 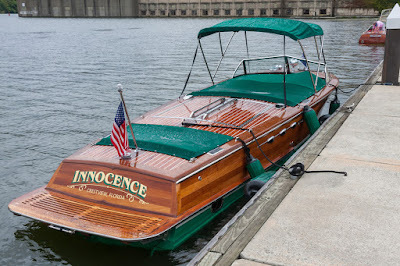 Front view of "Innocence," a Glen-L Tahoe. The marina is built on the site of the old Hales Bar Dam, completed in 1913 and dismantled in 1968. 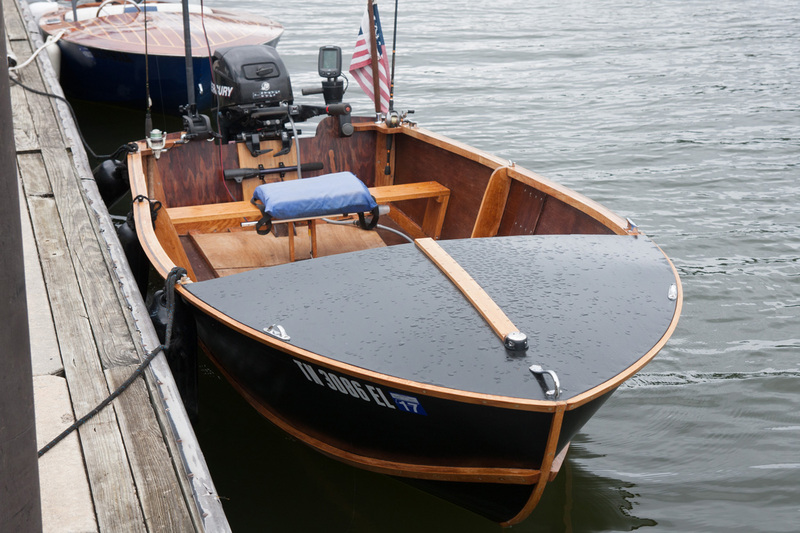 Another builder was there with his Glen-L Utility. A Glen-L Squirt, powered by a 20hp Yamaha motor. 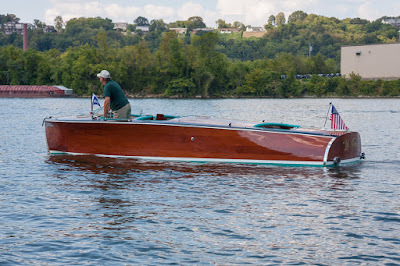 Playing on the Squirt's small size (typically 11' LOA), this builder named his boat "Knot to Scale." 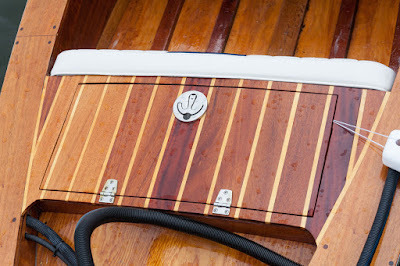 Hatch detail on "Knot to Scale." 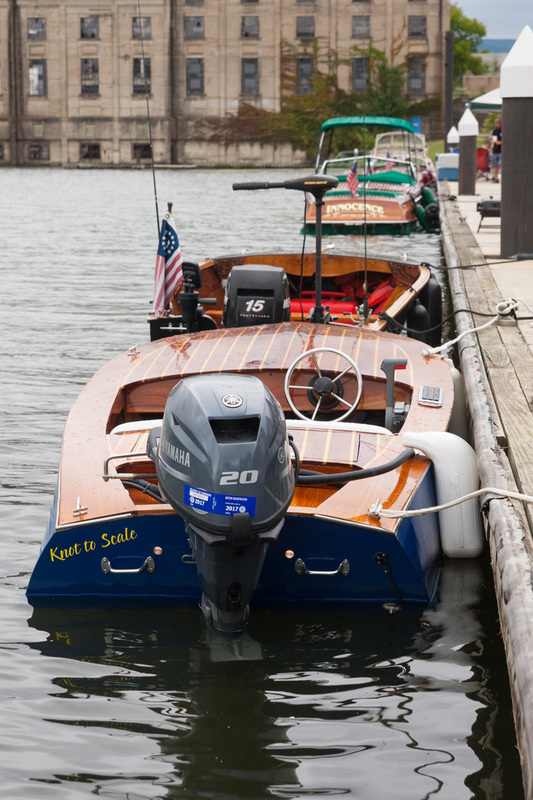 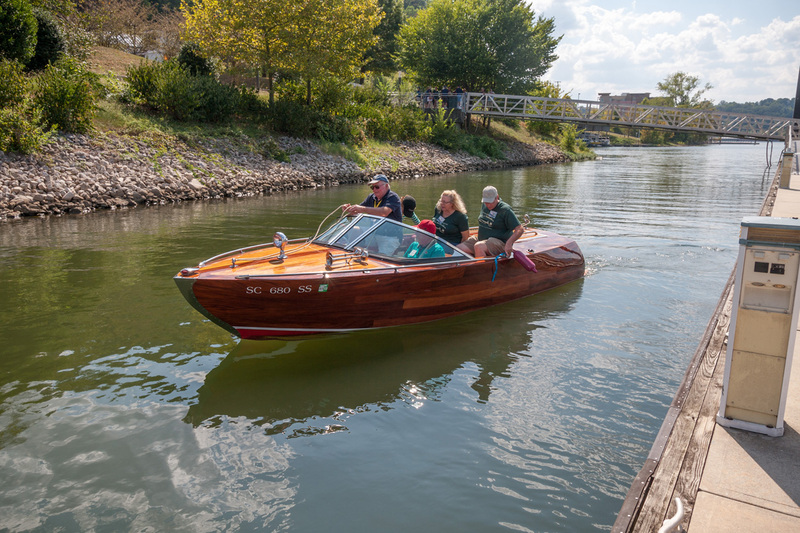 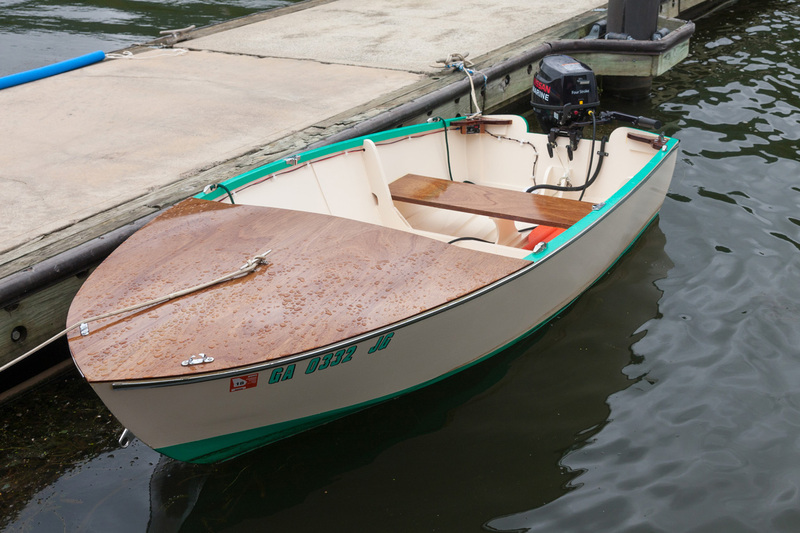 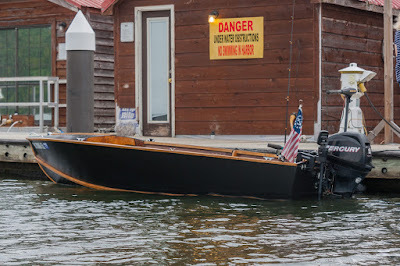 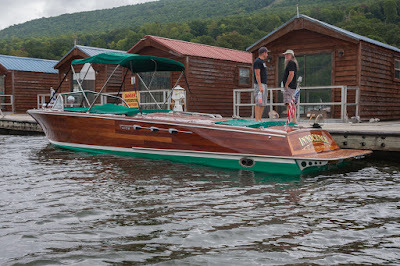 In spite of the boat's small size, I have long felt that the Squirt has more graceful lines than virtually all of its larger outboard cousins in the Glen-L catalog. 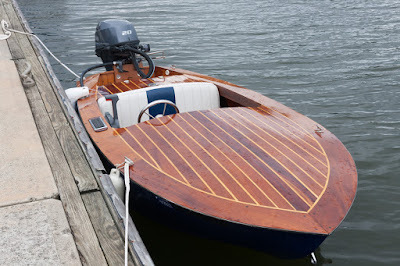 It's simply a beautiful design. 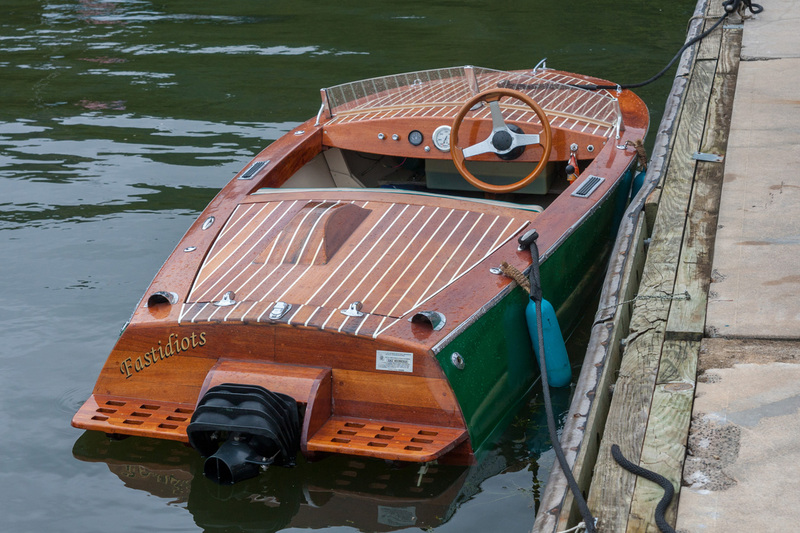 "Fastidiots" is a modified Squirt, with a reversed transom and powered by a jet ski motor. 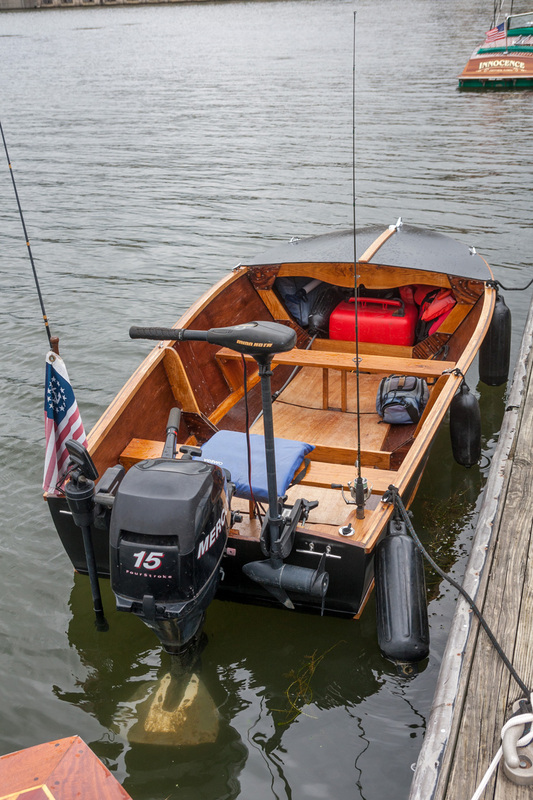 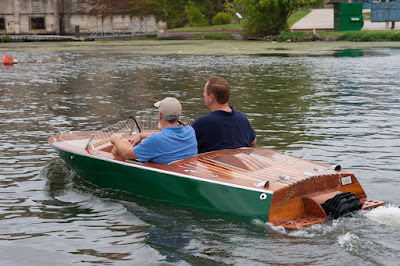 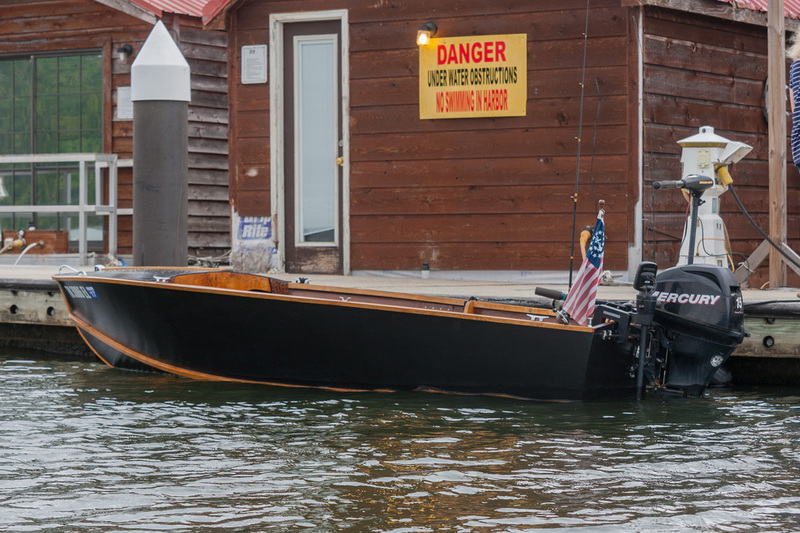 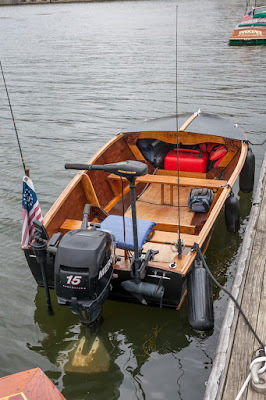 Glen-L Utility, built to an extended length of 12', and powered by a 15hp Mercury. With the weekend drawing to a close, boaters begin to taxi down to the boat ramp to trailer their boats and head for home.